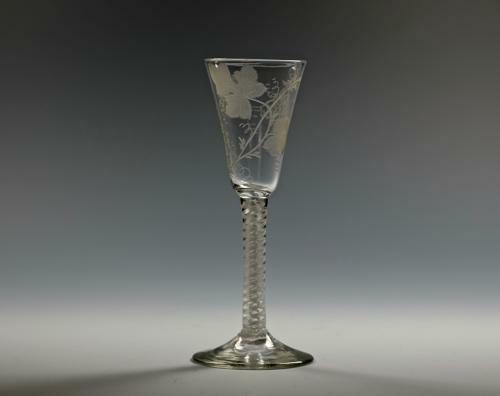 Double series opaque twist wine glass, round funnel bowl engraved fruiting vine and a plain conical foot. English. C1760. Note: A particularly fine executed twist.